Here’s an event for you this Friday that’s a little bit The Computer Wore Tennis Shoes and an iota of It’s A Mad, Mad, Mad, Mad World — with a New York City touch, of course. It’s The Great Subway Race of 1967! Fifty years ago M.I.T. 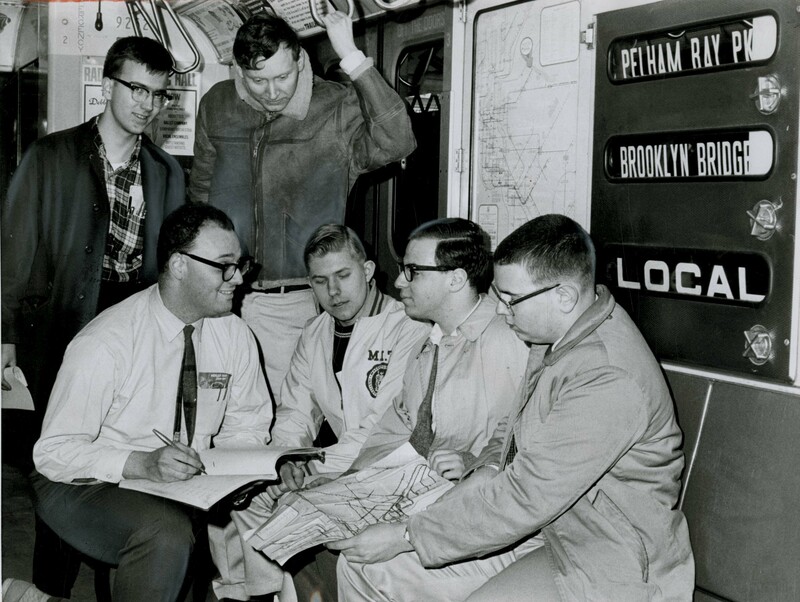 computer whiz kid Peter Samson programmed a mainframe computer about the size of a passenger elevator to calculate the most efficient route to ride the entire NYC subway system in the least amount of time. This Friday, Samson will recount to Manhattan Borough Historian Michael Miscione his team’s outrageous attempt to break the existing riding record using payphones, runners, and a teletype hook-up between a makeshift “data center” in midtown Manhattan and the mainframe in Cambridge. SW corner 68 St. & Lex. Ave.
Great Subway Race of 1967 Video Preview from Michael Miscione on Vimeo.